Well I hadn't realised that we had reached the end of the month until I checked the emails tonight and discovered everyone was flaunting. My biggest flaunt has to be Turkish Delight. 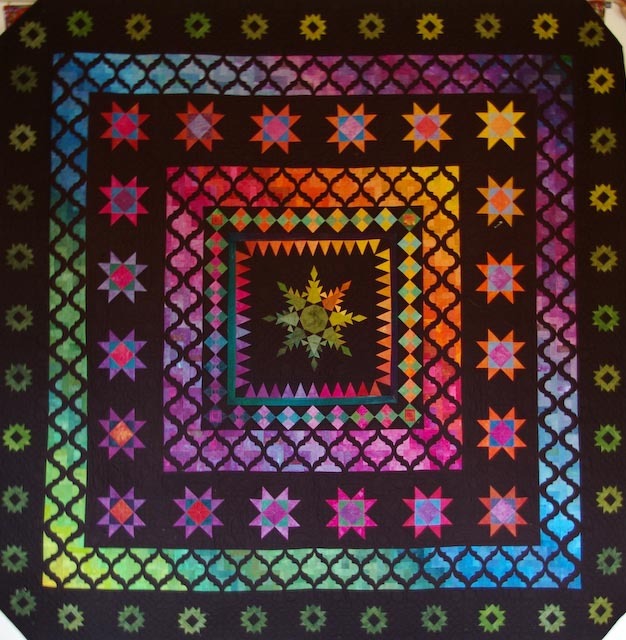 Although I have flaunted it before my flaunt is the fact that it won an award at the recent Sydney Quilt show, for best use of hand dyed fabrics. 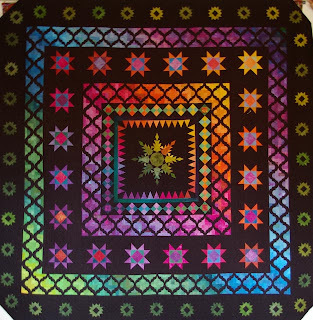 I used almost 300 different coloured fabrics and all except those in the outer row of stars were my own attempts. As for actual sewing this month, well last month, I have actually had a productive month although not a lot is actually completed. 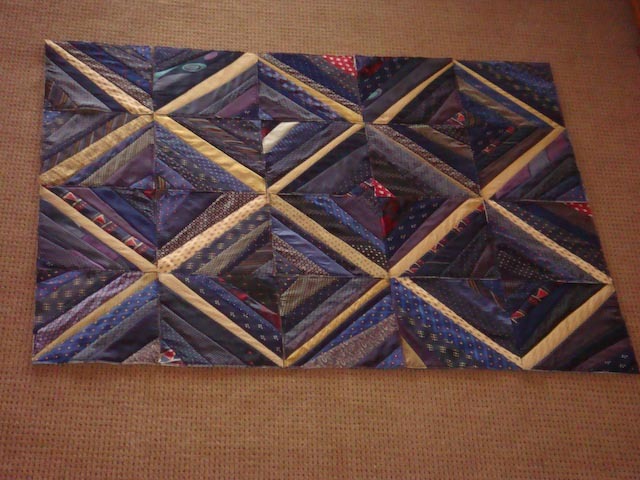 My tie quilt, which is one of my 10 in 10 targets would have been finished except that I have now decided it needs a border... so back to the WIPs pile it goes. I have since taking this photo though added another row and joined all of the blocks together using red strips, looks quite smart. Hopefully it will be finished this year. 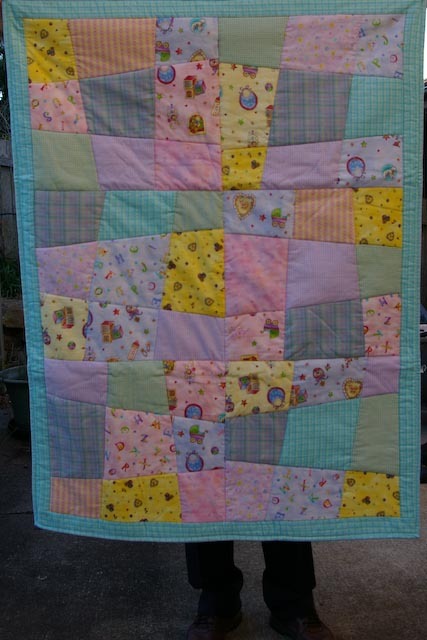 I also finished two baby quilts. One you can see here, while the other I posted to my nephew on Monday when he announced that Bailey Kate had been born. They were very impressed that I was able to whip up a pink quilt so quickly. I did mention that although it was an easy quilt the only reason they received it before the child's first Xmas was because I had made two, this blue one and the other pink one. Other than that all that I can flaunt is approximately 2,000 1/4in hexagon papers which I have cut in preparation for my next long term project. I didn't photograph them as it really was depressing when I worked out how many I had... my calculations are that I will need at least ten times that many for the project.